Is it possible, is it legitimate, is it helpful for Christians to read the whole Bible from the angle of mission? The immediate challenge that bounced back was: it all depends on whose mission you mean. 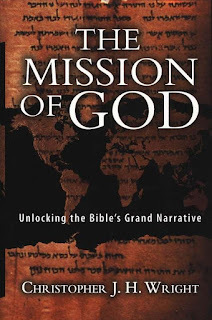 If by "mission" we are thinking of "missions," and the great and laudable efforts of cross cultural missionaries, then we would be struggling to defend an affirmative answer to the first question. While our human missionary endeavor can find ample justification and explicit textual imperative in the Bible, it would be a distorted and exaggerated hermeneutic, in my view, that tried to argue that the whole Bible was "about" mission in the narrowly defined sense of human missionary activities. The Bible renders and reveals to us the God whose creative and redemptive work is permeated from beginning to end with God's own great mission, his purposeful, sovereign intentionality. All mission or missions which we initiate, or into which we invest our own vocation, gifts and energies, flow from the prior and larger reality of the mission of God. God is on a mission, and we, in that wonderful phrase of Paul, are "co-workers with God." Yahweh presents himself as the God who will to be known. This self-communicating drive is involved in everything God does in creation, revelation, salvation and judgment. Human beings therefore are summoned to know Yahweh as God, on the clear assumption that they can know him and that God wills that they should know him. Wright presents the Bible as constituting the revelation of this mission of God. Furthermore, as we embrace this revelation, we have in our possession the hermeneutical key that unlocks the Bible's purpose as a grand narrative that gives shape to a biblical, God-centered worldview. For Wright, this grand narrative stretches from creation to new creation, and accounts for everything in between. It is The Story that tells where we have come from, how we got here, who we are, why the world is in the mess it is, how it can be (and has been) changed, and where we ultimately are going. It is the story of the mission of God revealed to us in Scripture as Father, Son and Spirit. It is the story demonstrating that the mission of this triune God is the heartbeat of all reality: all creation, all history and all that lies ahead. Wright then notes that this biblical, missional worldview is disturbingly subversive in that it relativizes our place in the grand scheme of things. We tend to ask, "Where does God fit into the story of my life?" But the real question is, "Where does my little life fit into the great story of God's mission?" We tend to want a purpose that has been tailored just right for our individual life. 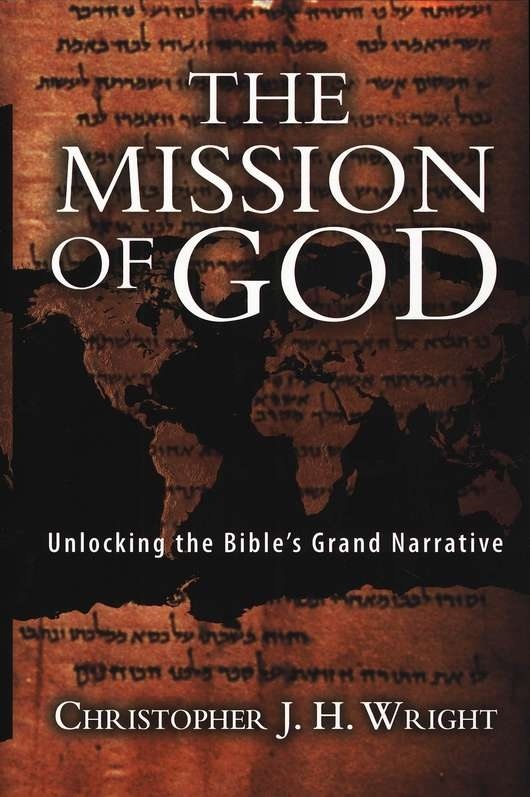 But a biblical worldview sees our life's purpose as wrapped up in the great mission of God for the whole of creation. We tend to argue about what the church's mission should be. But the real question is this: "What kind of church has God formed for his mission to the world?" Sometimes our motivations for mission are inconsistent with the Bible's grand narrative. We tend to want numerical results ("nickels and noses"), emotional highs, amazing experiences, or personal respect and fulfillment. However, when our worldview is shaped by the revelation of who God is and what he is doing on mission to the world, then we see ourselves as part of what he is doing to call all people to himself, When our identity is conformed to this reality, then we are able to act in harmony with God's design as co-workers with him in his mission to all humanity. For a more detailed review of this helpful book, click here. Thanks, Ted, for highlighting this book and it's message. The idea that the Bible reveals a God on mission in our world is comforting, encouraging and exhilirating! And thanks for bringing attention to the work of Chris Wright. He is the International Director of the Langham Partnership, and therefore, the successor to Christianity's beloved John Stott. Langham sees that today, 75% of Christians are non-Westerners - a fact which blows my mind - and desires to serve them, especially in the realm of providing teaching opportunites and materials to ministers in this "Majority World." I too appreciate Wright's work. And though I'm not well acquainted with his work, it seems to me that it would be improved if he's embrace a more Trinitarian perspective. In particular I think he would benefit from the understanding that both Barth and Torrance have brought to us that God's person (being) and act (doing) are one. Thus to speak of God's mission is to speak not only of what he does (his act) but of who he is; for, indeed, God does what God is. With this understanding we see mission as about more than mere doing. Rather, it's about sharing in God's very being, in Christ, through the Spirit in our world. Mission is thus to be seen as intrinsically personal/relational. It's a life (the incarnate life of Jesus) to be shared!